Working in wet conditions can be dangerous, which is why the HexArmor Chrome Series Hi-Vis Cut-Resistant Wet Grip Gloves 4027 utilise a highly grippy TP-X palm coating. 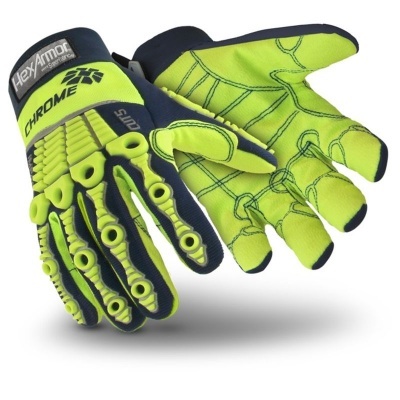 This ensures safety in wet conditions, while a SuperFabric interior offers outstanding cut resistance. 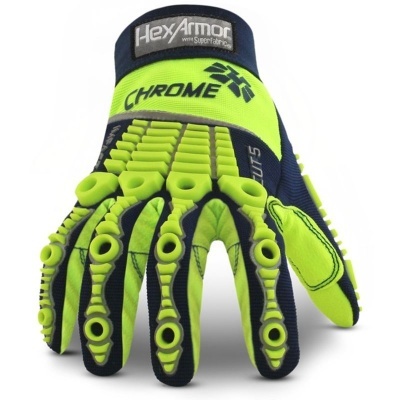 The Chrome Series Gloves are available in four sizes that should suit the hands of most users. Please measure the circumference of your hand around the knuckles (excluding the thumb) with your hand open and your fingers together, and the length of your hand from the tip of your middle finger to your wrist.